The GLMA and broader LGBT health family lost a pioneer in LGBT health research and advocacy with the passing of Judy Bradford, PhD earlier in February 2017. Judy’s contributions to LGBT health are legion. Long before she became co-chair of The Fenway Institute, Judy was forging new ground in LGBT health research, especially in the area of lesbian health. She served on Institute of Medicine Committees issuing reports on lesbian (1999) and later LGBT health (2011) that paved the way for the numerous advances in research and policy we’ve seen to date. 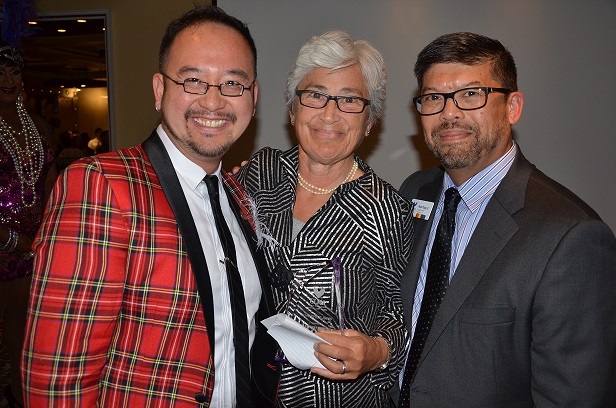 GLMA is especially indebted to Judy for her friendship and support of our work and mission through the years. Judy was a frequent, illuminating and heart-warming presence at the GLMA Annual Conference on LGBT Health, most recently in 2015 where she spoke about her own and the general state of research in bisexual health. The same year, she accepted the GLMA Achievement Award on behalf of The Fenway Institute at the GLMA Achievement Awards Gala. Judy received the honor herself in 2008. She also served as a GLMA Board Member and contributed to numerous GLMA reports and efforts, including The Healthy People 2010: Companion Document for Lesbian, Gay, Bisexual, and Transgender Health. We share in the incredible loss the LGBT health community feels at Judy’s passing. And we express our deepest condolences to our friends and colleagues at Fenway who worked alongside Judy on a daily basis and to Judy’s life partner, Nan Dumas, and their family.